Grüner Veltliner (aka Gru-vee) is indeed a groovy, Austrian grape that makes great wine. Generally, Gru-vee is food friendly with a solid floral and fruit profile, elegant minerality and a peppery hit. This one is no exception. Made from Grüner grapes harvested in both the Kremstal and Weinviertel regions, this version is medium lemon with aromas of white peach, plenty of nose tingling crushed rocks and white pepper spice. The palate is dry with refreshing acidity and light alcohol at only 12% – and you could literally drink it all day long as a result. Flavours are medium and show more stone fruit with a touch of light honey, white pepper powder, fresh pickle juice and tons of minerality. Ever so slightly watery, this wine still has good body and lends itself well to food. We paired it with grainy mustard and apple stuffed pork sausages and fresh garden salad. WSET Good and punches above its weight for the price. 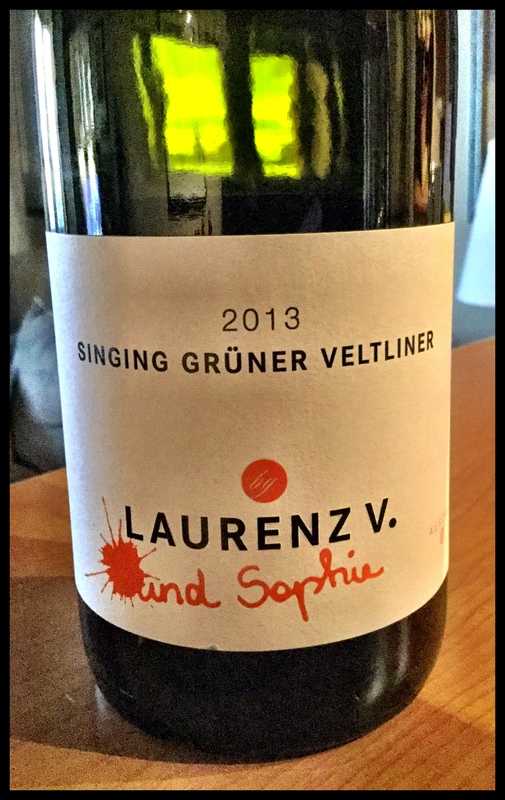 This entry was posted in OTHER and tagged 12% abv., 2013, Austria, Gruner Veltliner, Kremstal, Laurenz Five und Sophie, Laurenz V, Singing, Weinviertel, white wine. Bookmark the permalink.